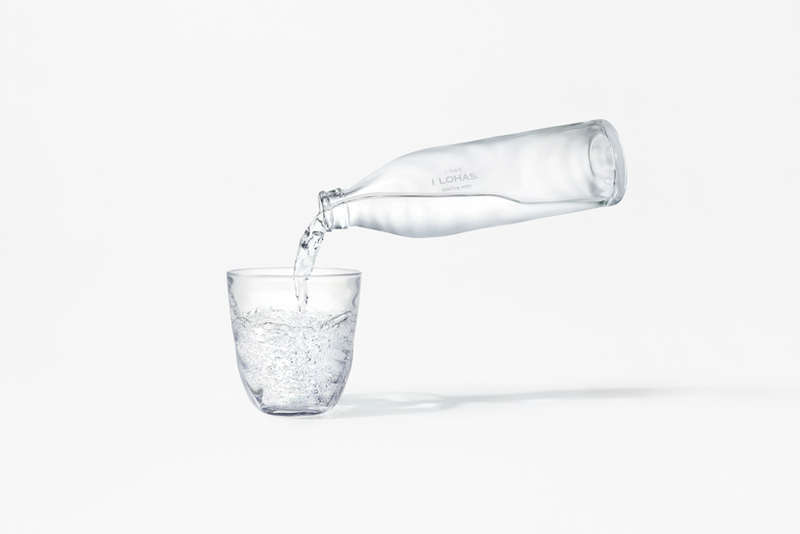 The majority of sparkling water brands served in cafes, restaurants and bars in Japan are from overseas due to a lack of luxury Japanese brands. 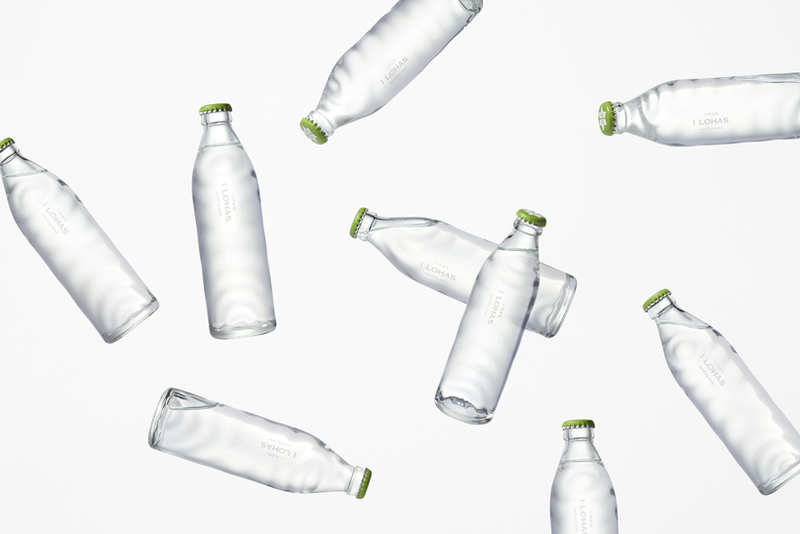 With this in mind, it was decided that a sustainable domestically bottled mineral water was to be developed, utilizing high quality water sources that are found in Japan to reduce environmental impact by importing water from overseas. 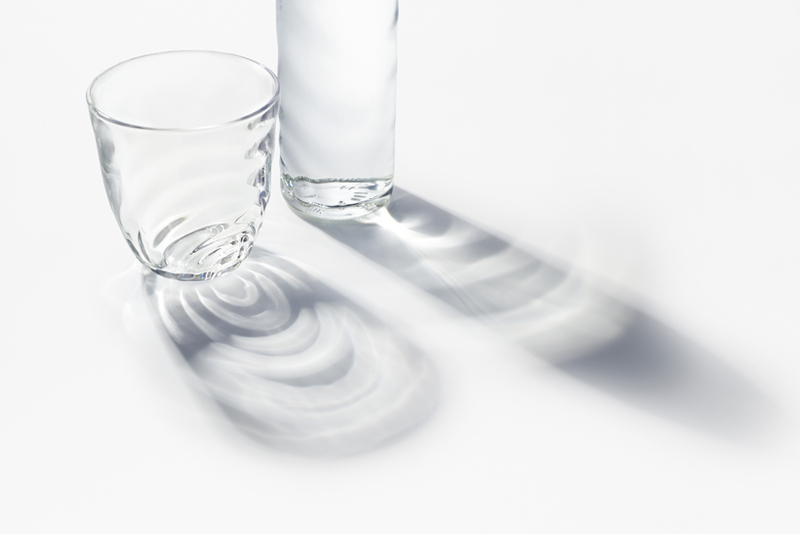 When observing the surface of natural spring water, it is noticeable that several ripples occur simultaneously, causing a series of overlapping waves on the surface of water. 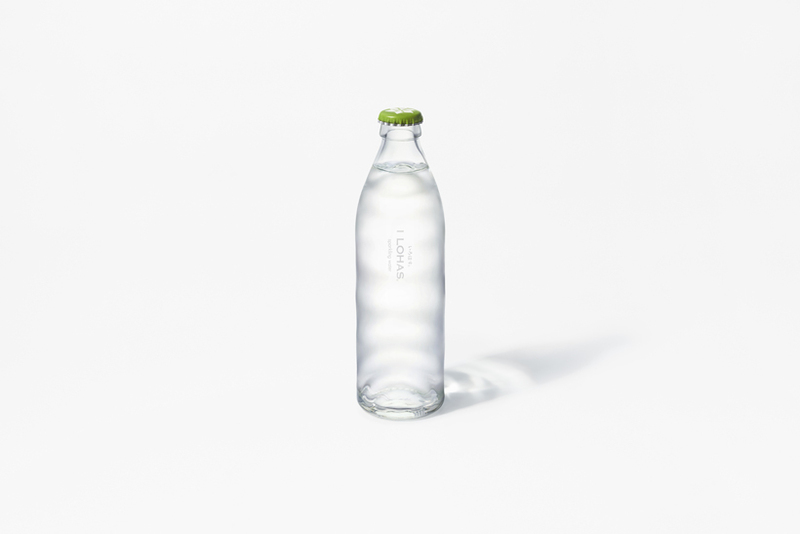 Referencing this, the 300ml glass bottle has been designed, covered with ripples to express the liveliness of fresh spring water. 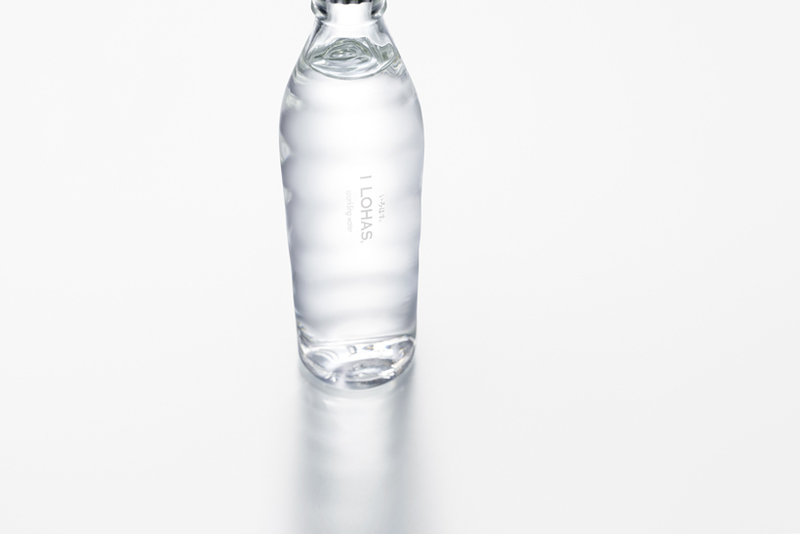 The unevenness of the ripples not only makes the water inside the bottle look lively, but also has a non-slip effect when holding the bottle. 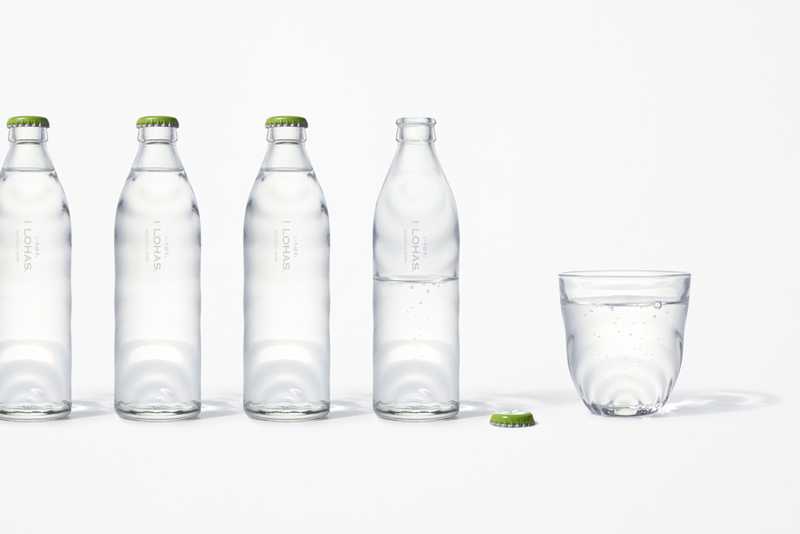 The product name on the bottle was arranged vertically to emphasize the Japanese aesthetic, and all the text was printed in white ink. 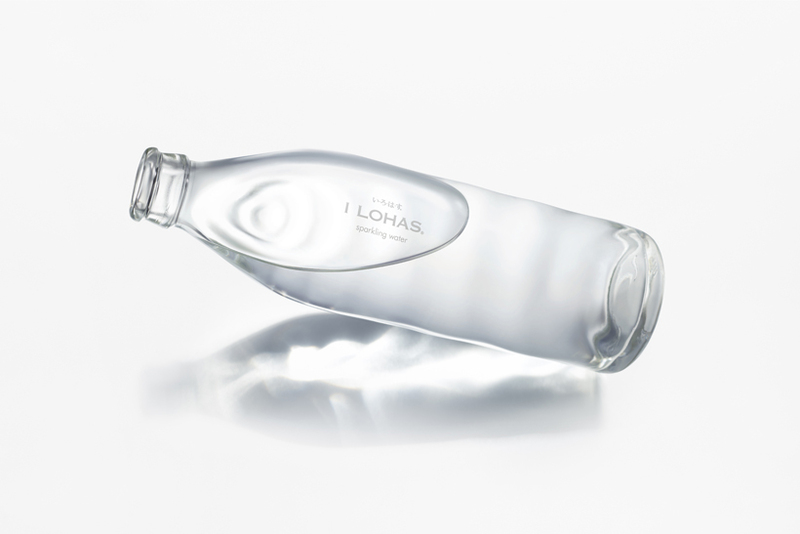 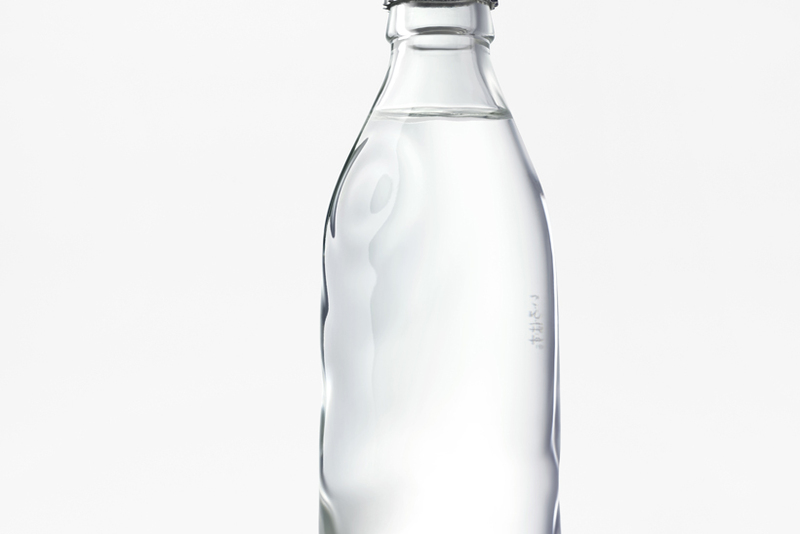 By using a single colour print, the bottle does not stand out when placed on the table, expressing the purity of water, the decision also takes into consideration the environmental impact compared to multi coloured printing. 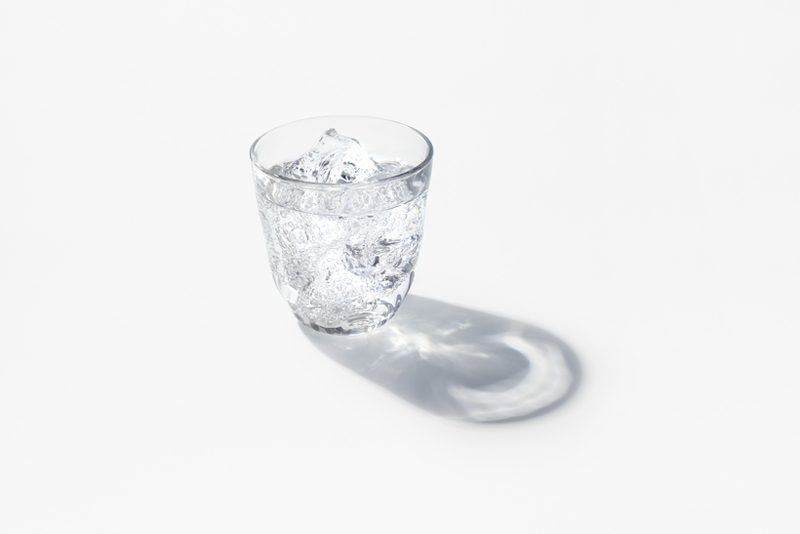 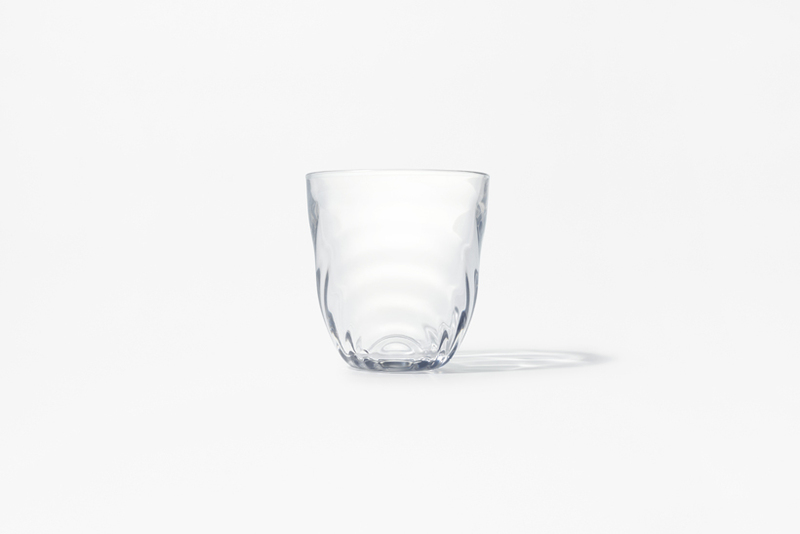 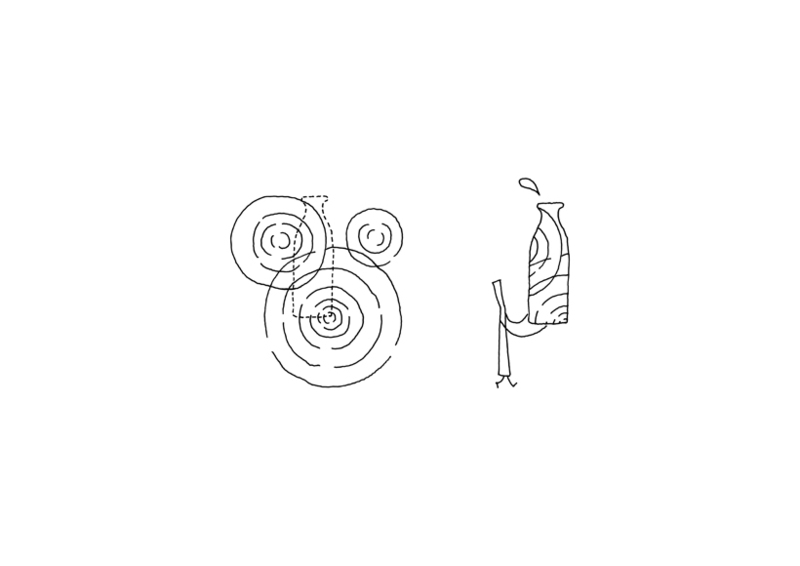 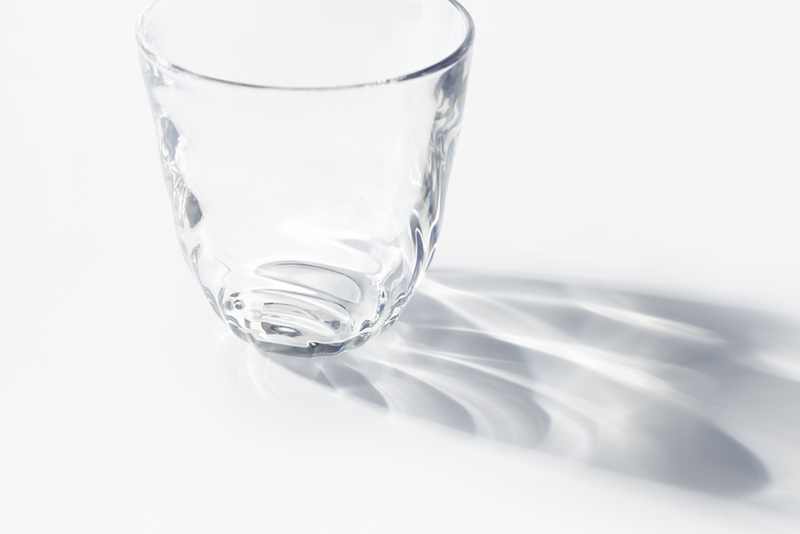 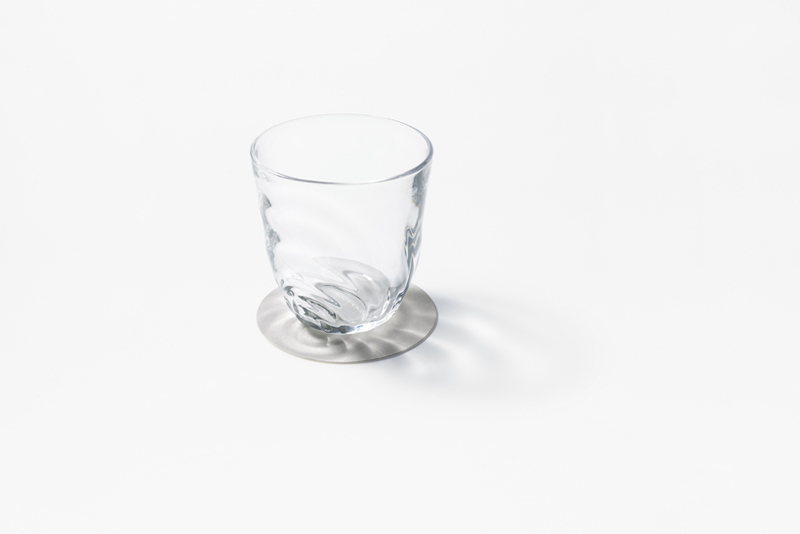 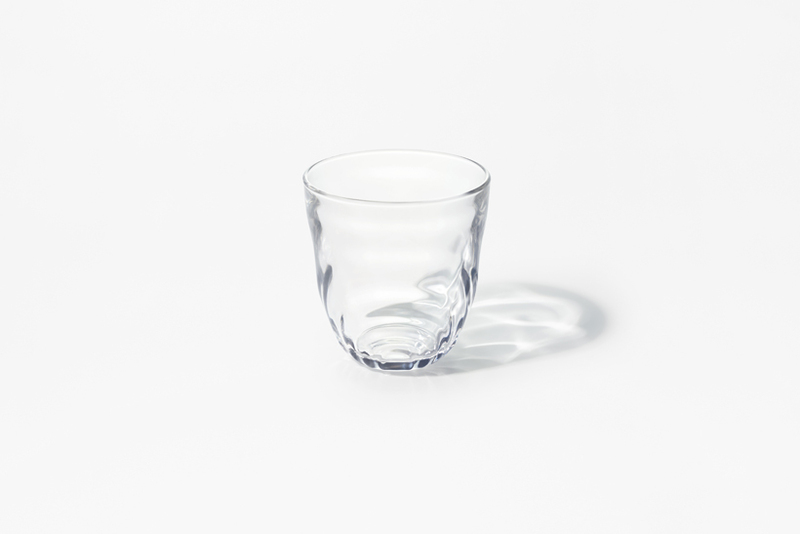 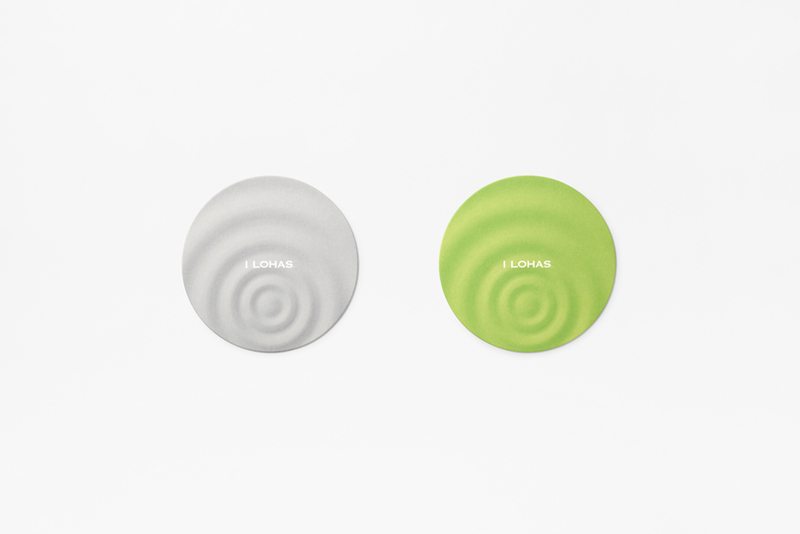 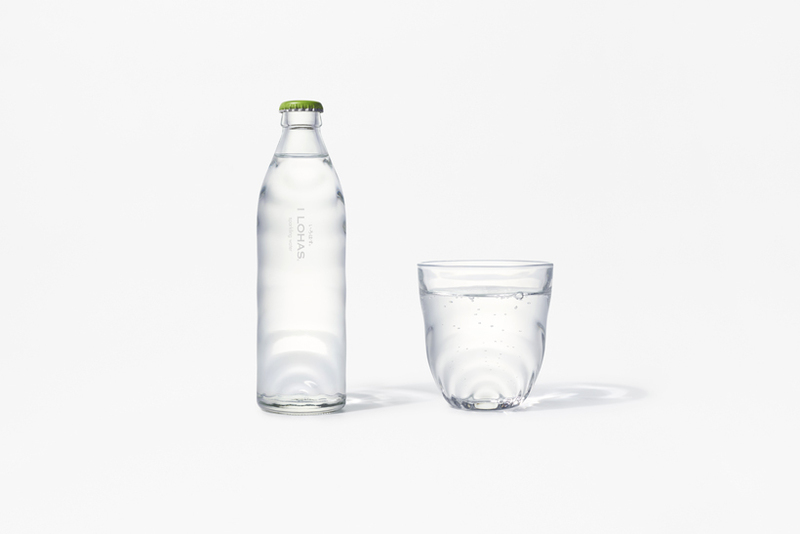 To increase touch points with the consumers, a dedicated glass using the same texture as the bottle, and a coaster with a ripple pattern was also designed.